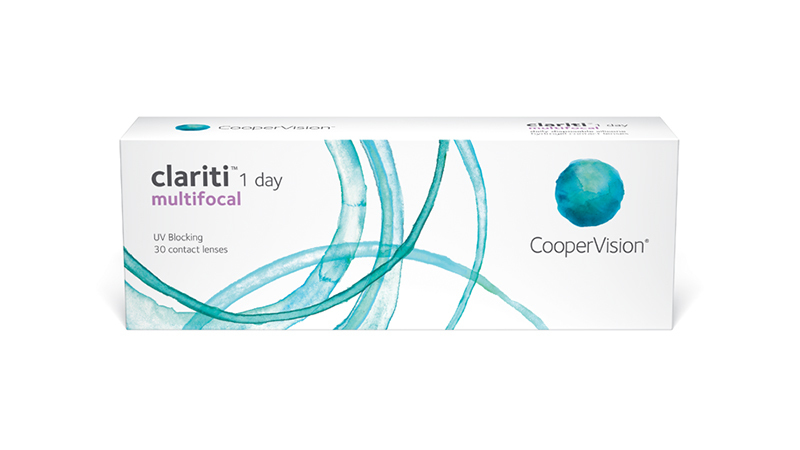 Now your patients with presbyopia can enjoy all the convenience of a daily disposable and the healthy advantages of silicone hydrogel in one lens—clariti® 1 day multifocal from CooperVision. It’s the only silicone hydrogel daily wear lens for presbyopia available today. For your patients, silicone hydrogel means whiter eyes and a healthier** lens-wearing experience. The clariti 1 day lens provides more than the recommended amount of oxygen**** across the entire lens surface to help maintain ocular health.